Buy some bread and save some dough! Every month, you have the option of taking advantage of our group bread order from Dave’s Killer Bread (at a significant discount). We post an online order form where you can choose the type and quantity of bread you’d like. The bread is then brought back to the Swap ‘n Play where parents can conveniently pick it up and pay on the way out! 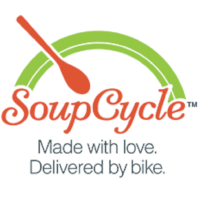 Order from Soup Cycle and have it dropped off directly at your door via bicycle! All of the standard goodness plus liquid and food!! See above for details! *The primary member is our main contact with your family. This person is responsible for communicating all Swap n Play information and guidelines to other adults and children. This is the person we will contact regarding financial matters and co-op duties. Kids of all ages are welcome. Recommended age 5 and younger. I agree to join for the minimum of 3 months and to give 1-month cancellation notice. 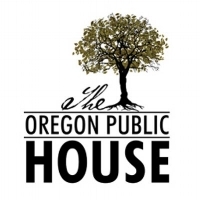 I agree to pay member dues of $90 (or $105 with OPH benefit) for each 3-month session. I will take responsibility for my Swap N Play co-op job and sign off upon completion. I will follow the guidelines laid out in the member handbook. Thank you! Bob & Rebecca will be in touch shortly.